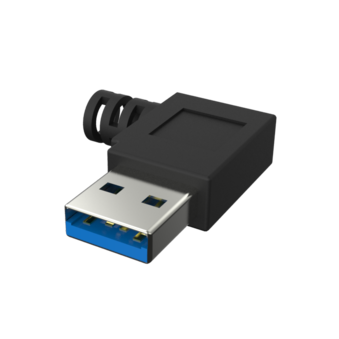 We offer USB 3.0 angled cables for setting up a system with limited space and the hard to reach narrow space,it will fit well using an angled cable that can be fit in the small and tight space without vigorously bending the cable and sometimes affect the performance. Our factory have a large series of moldings to assembly all kinds of USB 3.0 angled cables like left angle, right angle, up angle, and down angle. The cable is available in 1.0 /2.0 / 3.0 / 4.0 / 5.0 meter lengths. For more requirement in length and configuration, please contact us for more information. 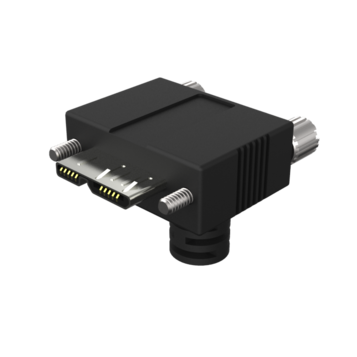 The USB 3.0 cable provides both data transmission and power supply, with an A plug on the host side and a screw-down micro B plug right angle orientation on the camera side. Cable body with standard cable and drag chain cable for options. 1, We make customized USB2.0 cable,USB3.0 cable and angulated connector for options. 3, The specific screw hole distance please contact us miss wang. Commonly used screws the M2 type. 4, Both ends of high-quality plug, the contact finger is gold plated material, to ensure good contact and 100% copper conductor ensure the signal communication. 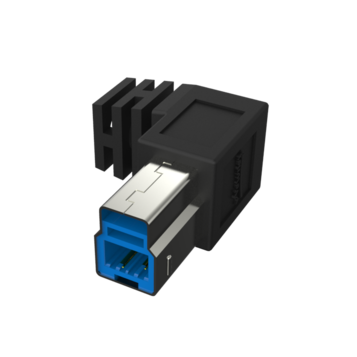 5,This sample cable is with one end connector USB3.0 a male, one end of the micro B USB3.0 angulated connector. 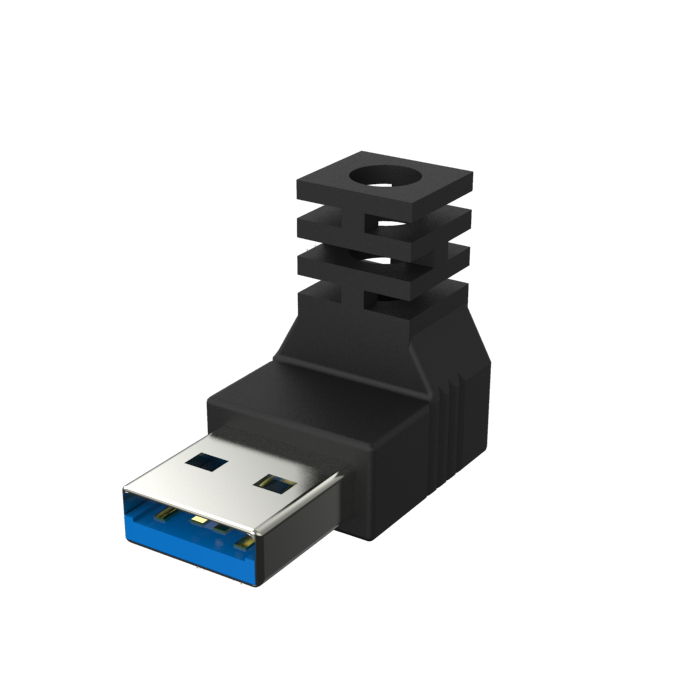 USB3.0 Micro B the head with two sides the injection molding screw hole, the specific hole distance please inqure us. Commonly used screws for the M2 type. 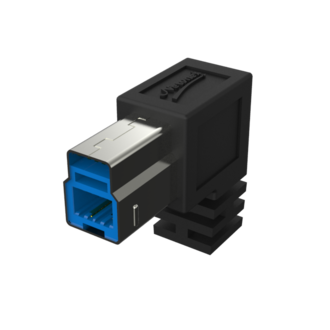 USB3.0 Micro B side angluated directions, with a lock screw fixation, the angulated USB connector can solve the equipment space limitation and other issues. 7, About lifetime, we promise 5 million times, test methods, and bending radius, bending frequency per day, the complexity of the motion directions are related, so the bending life is not an absolute value, the bending radius and movement frequency please communicate with us to understand. 8,This product is mainly exported to Germany USA and Italy, mainly used for below application.